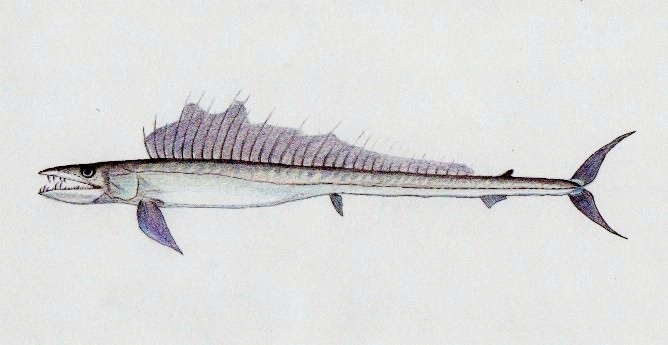 Lancetfish are a unique strange looking fish that are capable of handling great extremes in pressure and temperature. They are able to feed at the surface all the way down to almost 2000 meters. They can also be found from the tropical seas all the way to the arctic. Their diet consists mainly of squid and fish and they are primarily a nocturnal fish. 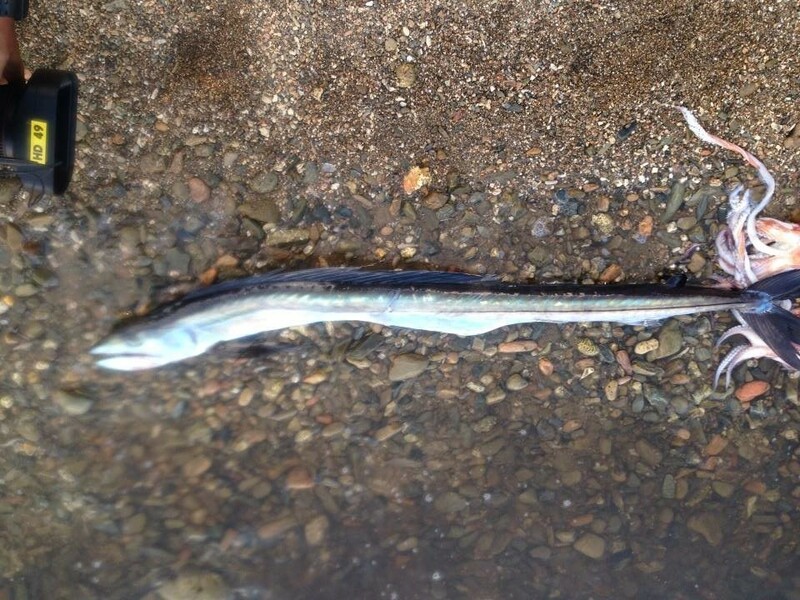 They resemble both Snake mackerel and Scabbardfish however they have noticeable differences than both. 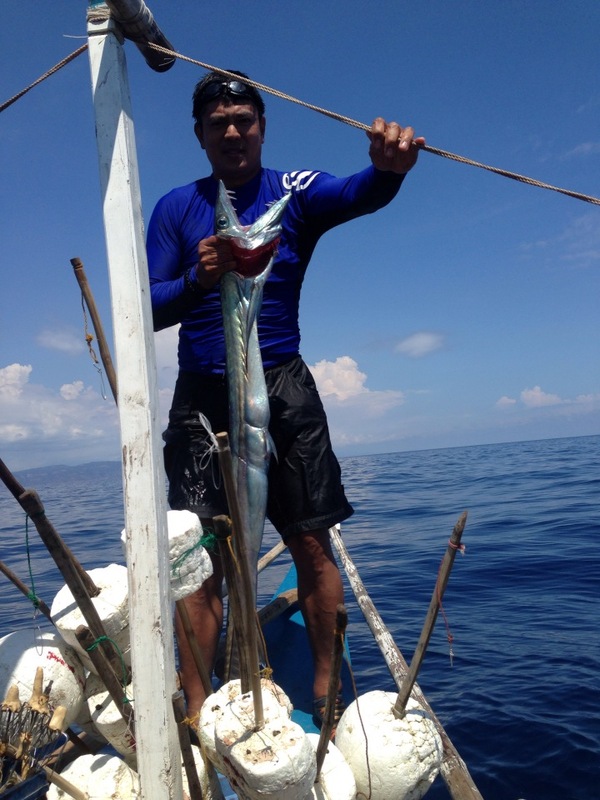 The fish in these pictures was caught at around 300 meters depth off Paluan, Mindoro Island by Doc and was 3.8 kilos. He described the fish as having soft skin, two inch long long teeth and being called Tokey or Tukey by the locals there. 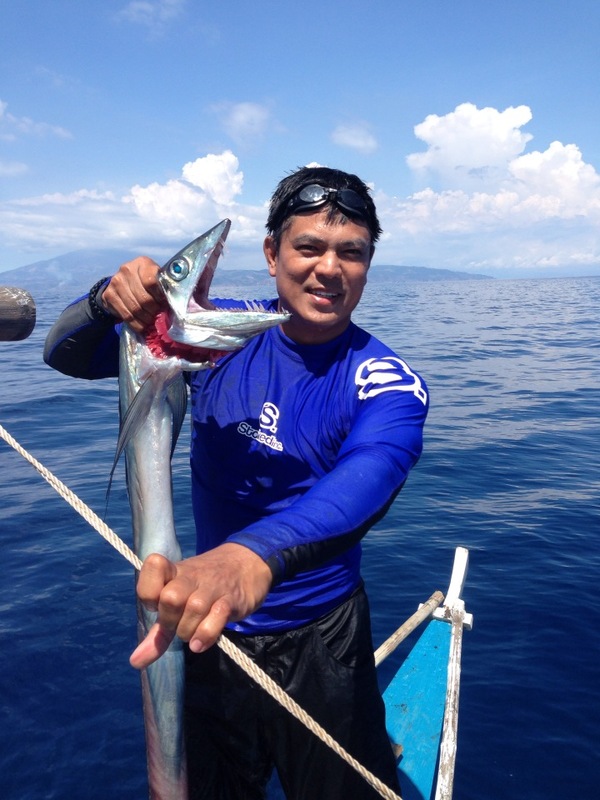 They caught this fish while deep sea fishing for large squid. 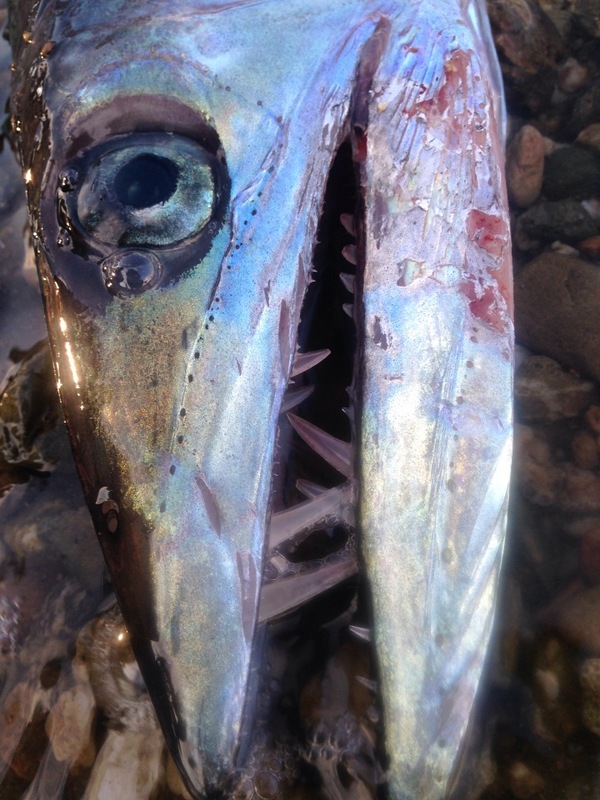 Posted on May 6, 2014, in Barracuda, Mackerel (Tangigue), Rare/Bizarre. Bookmark the permalink. Leave a comment.